This is my 19th post for my 30 Day Blog Challenge; only a few more days left! Americans for the Arts, the leading national non-profit organization (NPO) for advancing the arts and arts education, is holding its 30th anniversary of National Arts and Humanities Month (NAHM) during October. The celebration recognizes the importance of culture in American, and encourages all Americans to participate in the arts. First, Americans for the Arts encourages community involvement by encouraging everyone to attend an arts event or performance. 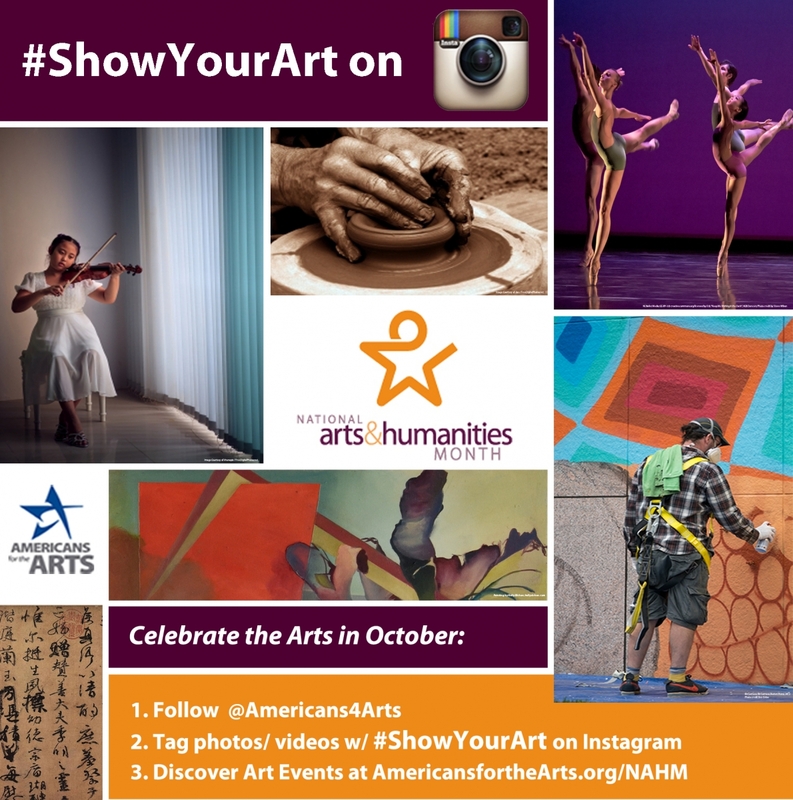 Second, by participating in the #ShowYourArt Instagram campaign. You can post your own art, art you like, and art events you attend, and share on Facebook, Pinterest, Twitter, etc. throughout the entire month. Although the website is geared toward organizations that receive funding from Americans for the Arts, such as art leagues and other art organizations, there is a lot of information for individuals, too. Information centered around the arts regarding public policy, cultural tourism, community building, funding, the economy, education, and the importance of the arts (and more!) can all be found on Americans for the Arts. This information is crucial not just for arts organizations and individual artists, but for anyone interested in the health and vibrancy of their community–actually, everyone! I am grateful for finding this invaluable resource, and plan to use it!